There are a lot of prototype products that I have no interest in testing. Parachutes, airplanes and seat belts are at the top of the list. Prototype golf ball testing? Well, that’s right up my alley. So, when the guys at I Need The Ball asked me if I wanted to test a sleeve of their new golf balls, I jumped at the opportunity. I’ve been on the “Great Golf Ball Search” for a few years now. Dozens of Pro V1s, Pro V1Xs and Bridgestone 330 RXs have all found a home in my bag only to be replaced by the latest flavor of month–which has been the Taylor Made Penta TP5 for the past 6 months. All of these are great balls, but I like to tinker and golf balls are a lot cheaper to tinker with than drivers, irons and shafts. I didn’t know much about I Need The Ball when they contacted me and sent me a sleeve of balls. I had no idea what type of player the balls were targeted to, the number of dimples, the number of pieces, the cover materials, the technology in the core, etc. All I knew was that I have a fear of snakes and I had three golf balls and cardboard box with a snake logo staring at me. I took my Pentas and the I Need The Balls to the course for an early morning round and a head-to-head comparison. I had no expectations. The wind was up, which was perfect. I’m a high launch, high spin player, so I’d really get to see how these performed. These unknown prototypes would need to prove something to me, and did they ever! It was a very ho-hum experience for the first few holes, but when I turned back into the wind, they really started to perform. The Taylor Made LDP Red was considered the “Holy Grail” of golf balls by many better players. Their piercing flight and aerodynamics led them to be considered one of the best (if not the best) wind ball of all time. Not since the LDP Red has a ball performed as well for me into the wind as the I Need The Ball. The I Need The Ball came off my irons with a low, piercing trajectory. The wind didn’t push them that their apex and there was no fluttering. Could this be the new “Holy Grail” of wind balls? Feel is always very subjective and depends a lot on what you are accustomed to with your current ball, clubs and shafts. Take these as my opinions based on my current equipment set up. Better durability. I had one small groove mark that was the result of a hard spinning 60 degree wedge. The same shot chewed a much larger spot on the Penta. Overall, I was pleasantly surprised with I Need The Ball and a dozen of these will likely find their way into my bag. I played a second round with them, which confirmed my feelings after the first round. If you play a premium tour-level ball or a second-level ball, do yourself a favor and check these out, especially at a price point of $34.99. As I mentioned, I didn’t know much about I Need The Ball before my testing began, but I was lucky to have the opportunity to ask the guys a few questions after my testing about their vision for the product and the technology behind it. 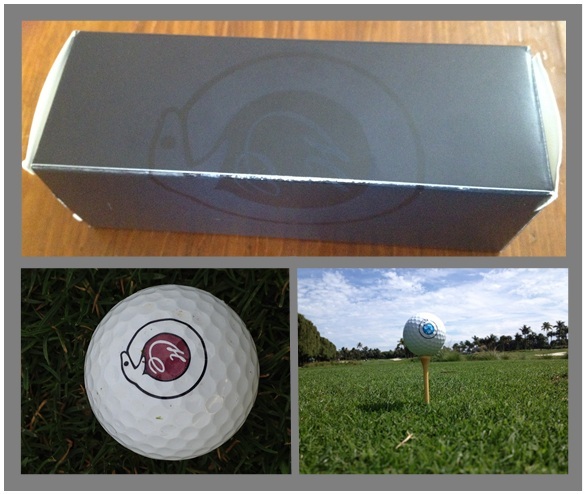 GolfThreads: What inspired you to create this ball? What did you see that was missing from the current balls on the market? I Need The Ball: We saw a spot in the market for a ball that performs as well, if not better, than a premium ball, but at a price point under $40. We hope to bring that price down even more in the future and will continue to work towards that. What has helped is that we have taken a very Apple like approach. The box is very clean and simple and we tried to take out all the noise that you see in big brand packaging. Everyone is on the web these days so if someone wants the Tech Specs of the ball they can go to our site and read them. This has ultimately saved our customer dollars because we can eliminate costs towards the “fluff”. GT: What type of player is this ball targeted to? INTB: The low and mid handicappers will get the most play out of them, but this ball has added distance, which we think everyone will easily notice. It also has preformed straighter off the driver, which will definitely help the higher handicapper. GT: How does the technology behind the ball make it a better ball? GT:What is the price point and where can people get them? INTB: $34.99 a dozen and they are currently available online at www.ineedtheball.com. I walked away very impressed with my experience with I Need The Ball and the team behind it. They have a passion for the game of golf. They care deeply about their product and appreciate constructive feedback that with make it better. They want to make the game more enjoyable for players, and they hope to create an entire community around the product. Not bad for a small company started by a group of childhood friends. Check out I Need The Ball on web at www.ineedtheball.com, on Twitter @INeedTheBall and on Instagram.